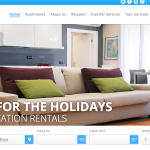 Every week, we highlight vacation rental agencies and owners who use Kigo vacation rental websites and reservation system. This week we will take a look at Berlin Vacation Rental provider, BERLINLOFTS. We love working with BERLINLOFTS and helping them increase bookings of their modern lofts in downtown Berlin. Simplicity is a key for BERLINLOFTS, they want their users to be able to book their properties in the simplest way possible at a reasonable price. The owners, Stephan and Babett have taken a great deal of time furnishing and playing around with different materials to provide a unique loft experience. 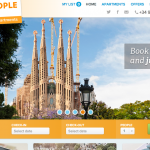 This attention to detail is represented well in their website, with a fresh and bright coloured modern design. BERLINLOFTS’ website has done a great job of making visitors experience a fresh, colourful and modern feeling when surfing through their webpages. There is no room for confusion as to what services BERLINLOFTS offers, where the vacation rentals are, and what kind of properties are available for rent. Above the website fold, BERLINLOFTS placed a changing image that showcases professional pictures and prices of each property that rotates in order to provide website visitors with a property that they will find aesthetically pleasing. The yellow colour combination that includes watermark texts, hyperlinks and buttons are bright and fun, as well as great for branding. 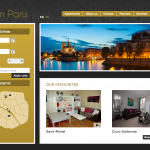 BERLINLOFTS have done a great job of making it easy for users to inquire and book properties from their website. 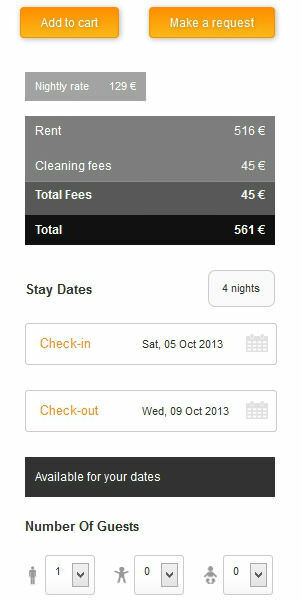 On the homepage guests can do an initial property search based on their check-in/check-out dates, number of guests and the number of bedrooms. The second option BERLINLOFTS provides is showcasing all of their properties in an Apartments tab. 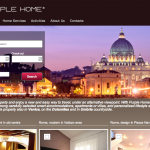 Once a guest chooses a particular property, they can see the availability of the property within an embedded calendar. If a guest wants to book the property on an available date, they can use BERLINLOFTS’ modern booking calendar embedded on the webpage. Once a guest enters their reservation inquiry, the dynamic calendar then confirms the total number of nights, the nightly rate and the total cost. Guests can book the property by adding it to their cart or simply make an inquiry. 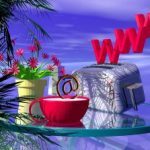 Multilingual websites allow vacation rental owners and agencies to access a larger pool of guests who search for vacation rentals online. BERLINLOFTS currently has 2 languages on their website: English and German. This allows foreign visitors to access the website through the English interface, while providing a website for German visitors who are looking for a holiday in Berlin. Berlin is a vibrant and cultured capital and BERLINLOFTS have provided a great website that represents the city for their visitors. 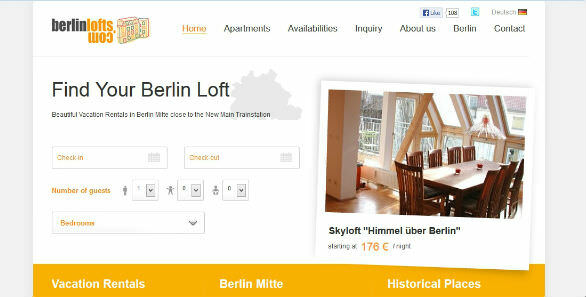 If you are looking for a holiday rental in Berlin, we strongly suggest visiting BERLINLOFTS’ website!